Last week my friend Sheryl Humphrey, creator of extraordinary nature paintings, and author of The Haunted Garden: Death and Transfiguration in the Folklore of Plants (available on Etsy) tagged me as part of THE NEXT BIG THING interview series. What is the title of your publication? A long-time obsession with garden writing! The genre was completely unknown to me when I picked up American Garden Writing, by Bonnie Marranca, in a used bookstore about 20 years ago. I was a budding writer, fresh out of college, and a new mom. Little did I know that this book would be the start of a life-long love affair. I was mesmerized by what I discovered; every essay in this book about gardening and agriculture (from colonial times to the present) had other connections—to politics, religion, fashion, science, even personal relationships. I learned that gardening was not just about botany; it was about humanity. At the same time, I was developing an environmental awareness. I wanted to learn about our food, about the climate—and what we were doing to both. It took awhile to get from there to starting this magazine a few years ago. I see Greenwoman as a vehicle to turn others on to garden writing, to expand their world. The title comes from the fact that for a while I was obsessed about the history of the Green Man. I learned that this was an ancient archetype, symbolic of humanity’s oneness with nature. Where, I wondered, was the Green Woman? There are many nature goddesses, but I could not find an equivalent–so I made my own. What genre does your magazine fall under? What is a one-sentence synopsis of your magazine? 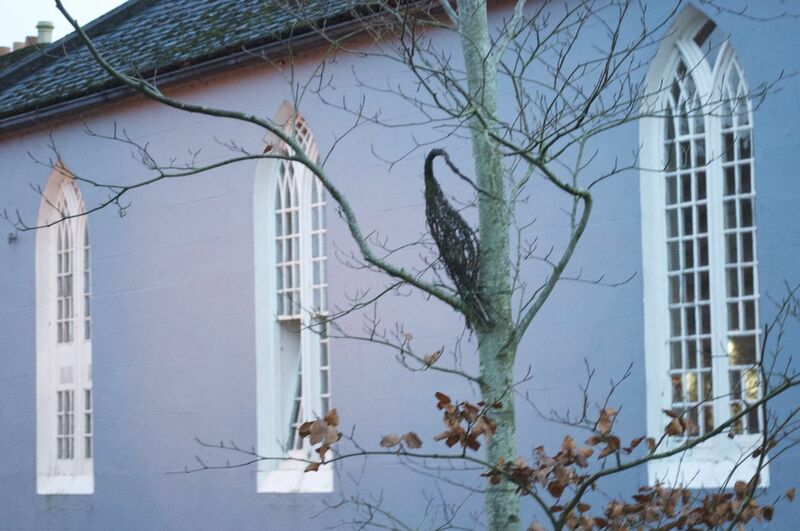 Greenwoman Magazine is a garden of literary delight and nourishment. How long did it take you to put the first issue together? Close to a year. This was a D.I.Y. project and I had to learn everything about creating a publication: how to use In-Design and Photoshop, all the business aspects, all aspects of social networking! I am still very much in the learning process. Who or what inspired you to publish this magazine? The subject matter in itself is inspirational. It can inspire people to go out and dig in the dirt (as it did me), to become a master gardener, to want to raise bees, chickens, goats, to eat healthy food, to join a community garden, to get politically involved, to do a thousand different things! More importantly, garden writing opens your eyes to the beauty, the wonder, and the possibility in this world. I love every aspect of garden writing; so much that I cannot not publish and write these kinds of stories. What else about your magazine might pique the reader’s interest? I think it’s notable that in a culture where we have multi-national corporations in control of most of the print media there are still some of us who are trying to do something original and independent. Here’s one of my pet peeves: look at the major magazines—most are selling ads from pharmaceutical companies! Gardening magazines too! I want to be part of a new beginning, where we bring back independence, integrity, and diversity to journalism. 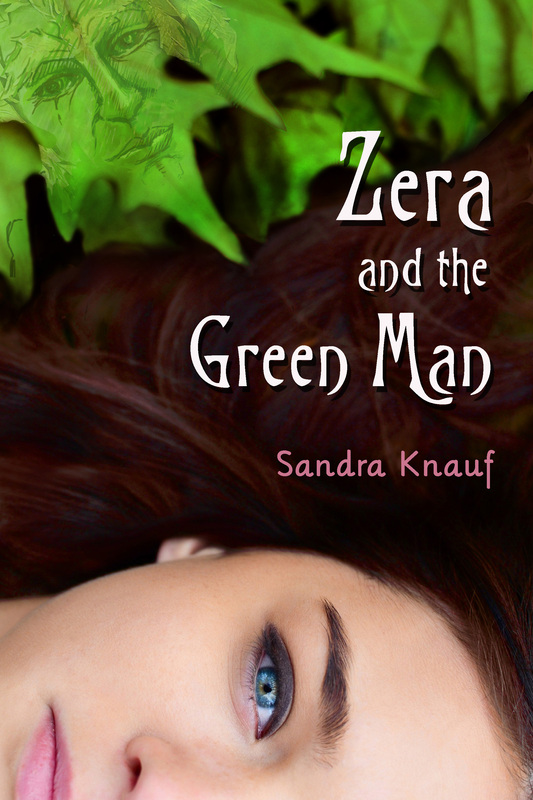 Oh, I do have something else–I am sending out a free digital sample copy of Greenwoman to anyone who visits the website and signs up for our mailing list! Will your magazine be self-published, or represented by an agency? Mine is a completely self-funded enterprise, though I see my subscribers as co-creators. I want to have their input not just financially, but creatively. I want the magazine to grow and to get even better with age. Postscript: I tried to tag a few writers yesterday to keep this going, but haven’t heard back yet. The way I look at it–feel free to tag yourself. Ha! 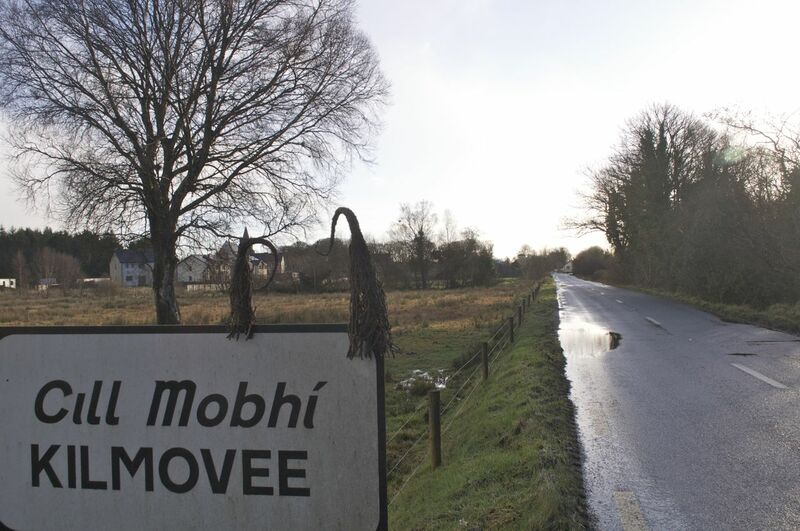 A couple of weeks ago I received a request from my Facebook Friend Ciarán Burke in Ireland. He asked if I’d post something on Scoodoos. 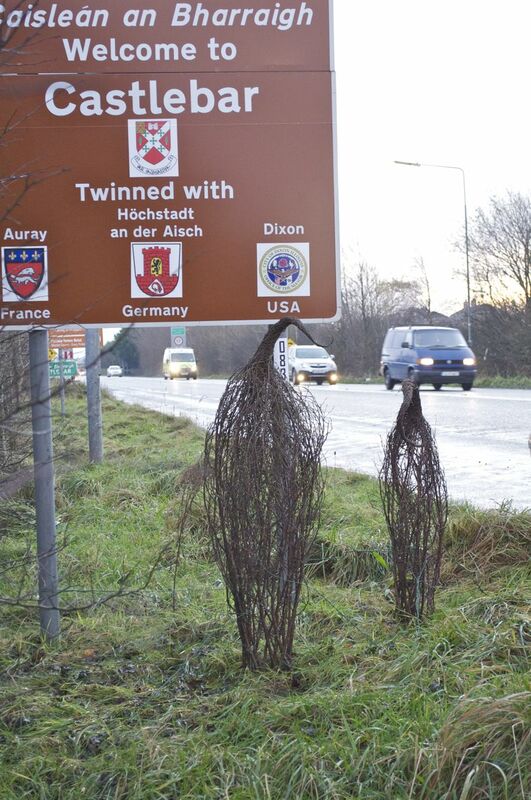 In County Mayo, activists in the West of Ireland are trying to raise awareness of the importance of trees with Scoodoos. Ireland is one of the least forested countries in Europe, which is both a surprise and a shame considering the rich folklore of Ireland surrounding the trees and the importance of the trees to the Celts. Some believe that the Ogham alphabet (sometimes called the “Celtic Tree Alphabet”) characters are based on native trees. There are still ancient Ogham stones surviving around the country side with these markings carved into the stone over a thousand years past. The Scoodoos are sculptures that were created initially for personal gardens. People have responded in such a positive way that the Scoodoo concept has taken on a life of its own. The Scoodoos are ancient tree spirits who have been living in harmony with nature, amongst the trees and the flora and a fauna of their arboreal habitat. For centuries they have been rarely seen by humans. Now, they are deeply concerned not only about their survival (they need more trees), but they are worried that humankind is leading the planet on a path to environmental catastrophe. In the last few weeks, Scoodoo sculptures have been appearing in public places such as road intersections–and even little ones in trees in the towns. Next month as part of Ireland’s National Tree Week there will be a Scoodoo Trail at the National Museum of Country Life in Castlebar County Mayo. It’ll be an educational trail where people can learn to identify trees and appreciate their beauty and understand the importance of trees to our survival. If you want to learn more about Scoodoos, visit the Facebook Page and website. If you want to learn more about Ciarán Burke, check out his blog, Blooms ‘n’ Food. If you can help spread the message of the Scoodoos, it would be much appreciated. I loved this story, but one thing bothered me. I had tried to do a little research, looking up “Scoodoo” on the Internet, and I couldn’t find anything! What was the story about the name? Was it made up? Was it ancient and so rare that few knew of it? I wrote Ciarán and he cleared things up: “The name Scoodoo (pronounced skoo-doo, long ‘o’ as in school) is made up. My wife Hanna made the first Scoodoo sculpture when we wanted some natural sculpture for the garden. When it was made we felt that it had a presence and character, which reminded us of old tree spirits at least if they had physical shape, that is what they would look like. So Hanna asked, ‘What shall we call it?’ and the first thing that came into my head was… ‘SCOODOO.’ She asked, ‘Why?’ and I told her, ‘It looks like a Scoodoo.’ So the word Scoodoo became a name for us to represent the trees sprits. Ciarán also mentioned that he and Hanna have written a children’s book for which Hanna was doing the illustrations. He wrote that they thought the Scoodoo sculptures were a great way to teach children about the importance of trees, the value of nature, and respect for the environment. I will soon be reviewing Sheryl Humphey’s (spoiler alert!) 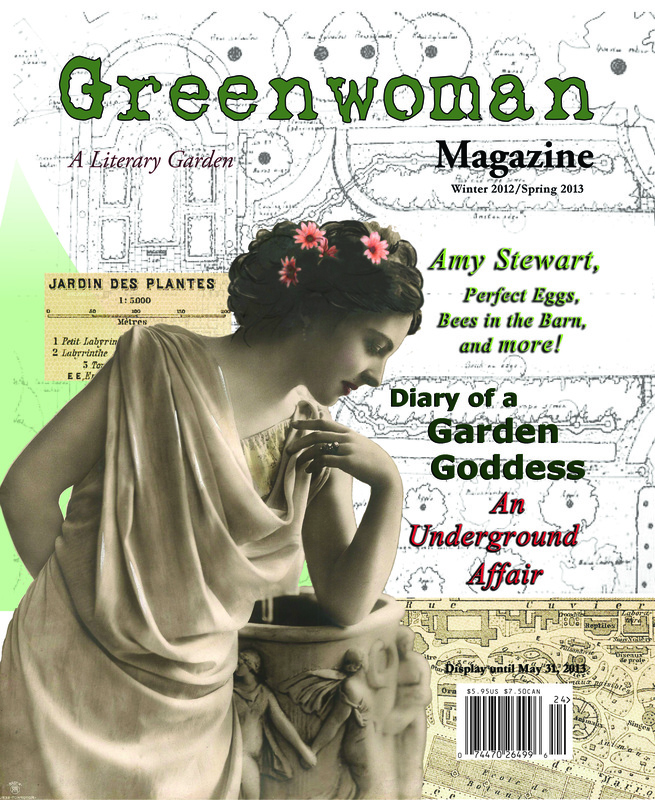 delicious, highly entertaining, and educational little book in Greenwoman Magazine‘s 5th issue. In the meantime, I wanted to post a little tease: Sheryl’s recent self-interview about the creation of The Haunted Garden, for THE NEXT BIG THING interview series. 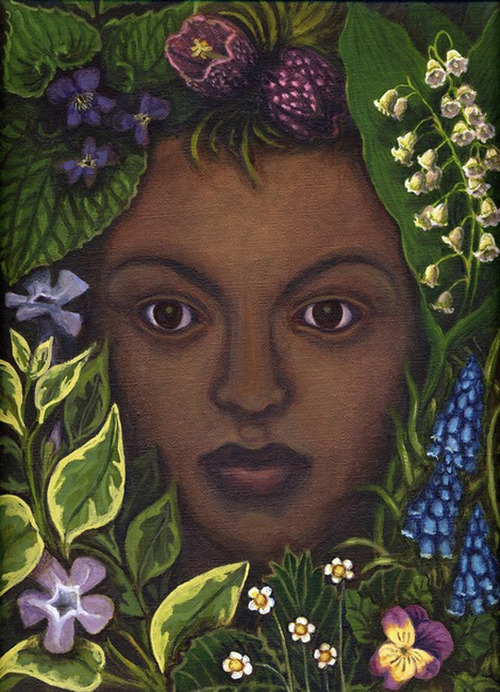 One of Sheryl’s paintings, Girl in the Little Spring Flowers. © 1999 by Sheryl Humphrey. Oil on linen, 12 x 9 in. From the Sisterhood of Flora series. Collection of the artist. The Haunted Garden: Death and Transfiguration in the Folklore of Plants. I am a painter, but I have been researching this subject for many years in relation to my paintings and my own garden, which has a large role in my artwork. 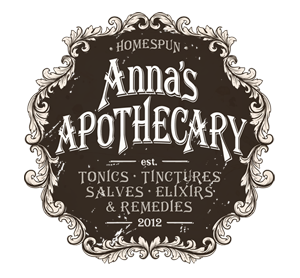 As a novice gardener my first interest was in herbs, and when I read about them I discovered they are rich in folklore. The beautiful, strange myths and superstitions about plants inspired me as a visual artist, and I began to collect obscure and antique books on the subject. 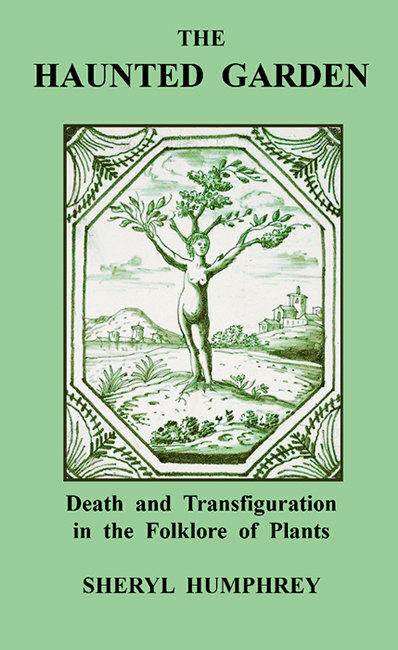 I thought that the botanical folklore of death and transfiguration would make a fascinating little book on its own. The Haunted Garden is a collection of mysterious old botanical myths and legends, a dark garden of folklore and metamorphosis where humans merge with plants. 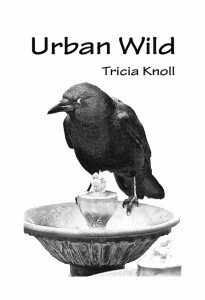 The subject itself inspired me, but a grant gave me the confidence and the funds to write and self-publish this book. I am very grateful for a 2012 DCA Art Fund Grant from the Council on the Arts & Humanities for Staten Island, with public funding from the New York City Department of Cultural Affairs. Once you start to learn about these old stories, and how they can be found in cultures all over the world, you begin to see examples of the theme everywhere. The idea of plant/human hybrids seems universal. Because this is a sampler of folklore, there are no main characters. But I can imagine The Haunted Garden being the basis for an anthology TV series — The Twilight Zone meets Faerie Tale Theatre. Will your book be self-published, or represented by an agency? 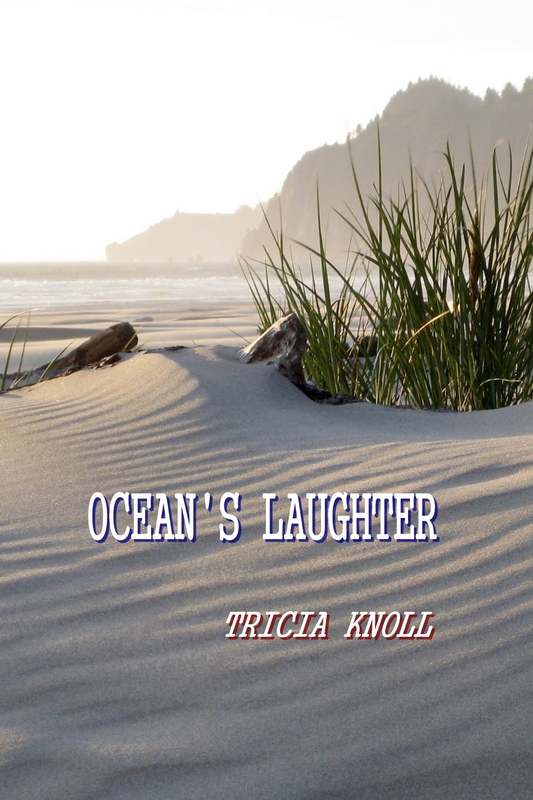 I have already self-published the book, which is available at Etsy, Lulu, andAmazon. But I would like to be represented by an agency so that I could publish a much-expanded and revised edition, with lavish color illustrations. This would be a coffee-table–worthy collection that would include many of the striking images and additional material that I post on the book’s Facebook page. Postscript: Sheryl subsequently tagged me for the series, so I’ll be sharing next week about Greenwoman Magazine. I don’t think Cheryl will mind that I am “reblogging” her fantastic post. HAPPY BIRTHDAY, Cheryl – and thank you for being a part of Greenwoman Magazine! 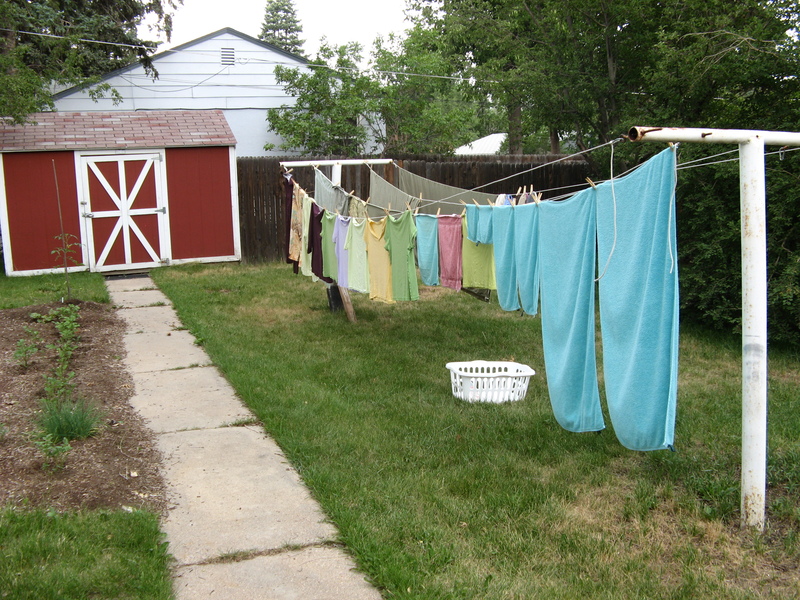 Last summer, hanging a week’s worth of gardening garb out to dry, I noticed that some of the T-shirts were more faded on the back than in the front. Chuckling to my self, I thought, “You know you’re a gardener when this happens.” Quicker than the proverbial wink, the question followed: When did I actually know I was a gardener? Did it really begin when grade-school-me planted carrots in the sandbox outside the kitchen door? Those questions sprouted into something tasty, like one of those beds of multi-colored lettuces. When does a person become a gardener? Are we born this way? Does some latent gene kick in when we’re exposed to grandparents bending over a zinnia or row of beans? Or is it environmental? Is there a virus that enters through the eye, under the fingernails, or in the perfume of a peony? How do you know you’re a gardener? What are the signs? Is it madness?